In 2017 we were treated to a far more competitive CPU landscape than had been seen in years, with AMD Ryzen (and later Threadripper) finally launching and proving to be a remarkably compelling product for a wide range of consumer and business use-cases. By all accounts 2018 will be just as intriguing, not least of which down to AMD's planned range of next-Gen CPUs and APUs all while Intel deals with fallout from the Meltdown CPU vulnerability, but that is very much for the future. For now, it has been revealed that AMD's Ryzen CPUs will be undergoing a quite substantial price correction, making them all the more tempting. 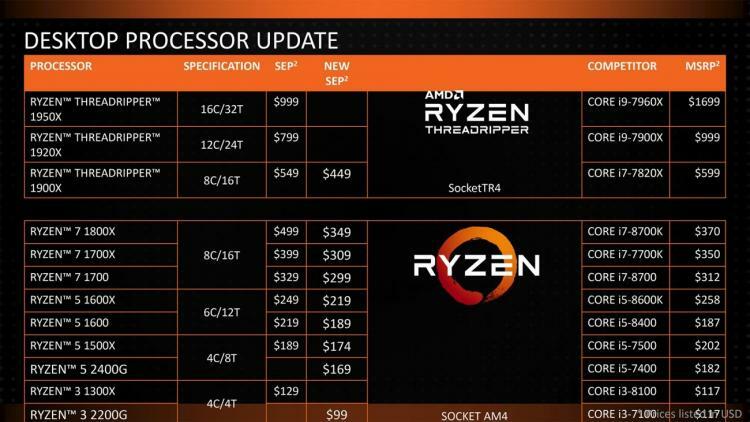 As reported by Tweaktown, at CES AMD have stated that their Ryzen 3 through 7 range, as well as the Threadripper 1900X, will be have their suggested retail price slashed across the board. 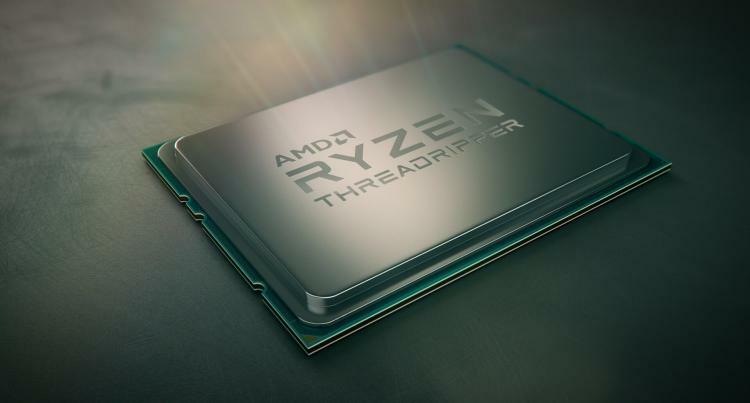 Potentially as a reaction to Intel's Coffee Lake range, which is now finally available at MSRP in the retail channel, the move pushes the top-end 8-core 16-thread Ryzen 7 below $350 for the first time. That's a whole lot of cores for not much cash. Unsurprisingly the price cuts are concentrated at the top of AMD's product slate, but at the bottom end they're also introducing two new APUs - the $169 Ryzen 5 2400G and $99 Ryzen 3 2200G. Both incorporate Radeon Vega graphics and four physical CPU cores (with the former supporting SMT for eight threads) and are compatible with all the latest AM4 platform desktop motherboards. One aspect yet to be uncovered is whether the APUs incorporate a single CCX or two, potentially opening the way for APUs with more Ryzen cores in the future.